Why X431 idiag is popular and available for DIYers? First of all, X431 idiag is researched and developed by Launch Technology based on more than 20-year auto diagnostic experience. 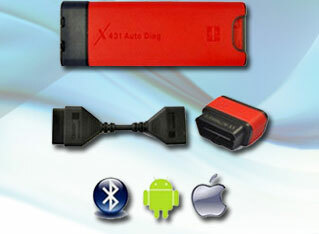 Secondly, it is applied to mobile terminal and internet available new design diagnostic device, including android smart phones, iphones, ipad, and itouch and so on. In this way, many users could access to diagnosis anytime and anywhere. 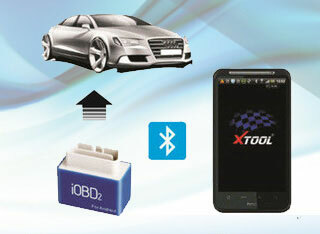 Thirdly, x431 idiag could use device connector to connect mobile terminals’ Bluetooth, enabling to diagnostic full vehicle model and full systems diagnosis, including reading faults codes, clear fault codes, read vehicle data flow, action testing and special functions and so on. Fourthly, it combines the advantages of internet application, providing users with more applications and services, including repair cases and cases data, timely repair information, public and private communities and so on. In this case, it builds up a universal automotive diagnostic community, which enables people to share and make use of repair and maintenance knowledge, repair experience exchange, repair service support online. Four aspects make sure the DIYers convenient and simple operation on x431 series useage, accurate and efficient diagnosis on diyers own vehicles.